Maybe it’s because I’m in my thirties. Or maybe it’s because I don’t spend the day counting the minutes and hours till the end of a lesson or a lecture, but I SWEAR time is travelling ten times faster than it used to when I was a teenager and in uni. Seriously, where has the first half of 2013 gone?! Next thing I know, it’ll be Christmas and I have to scramble to find Christmas crackers and Secret Santa gifts. Ugh. So why these mutterings? 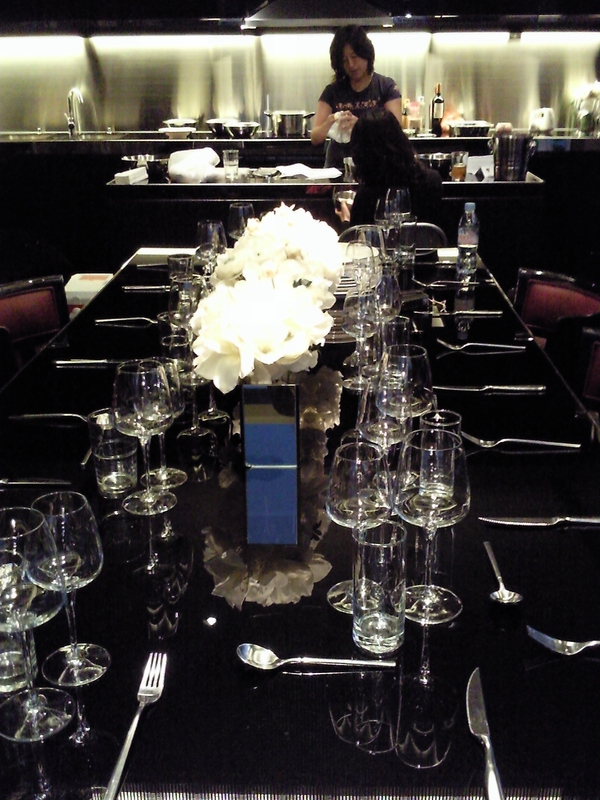 Because Food Revolution Day was 17th May and…. it’s now 14th July and I realised I clean forgot to post the home-cooked meal that marked that day of getting together with friends and family and actually using the cooker hob. Not that it actually matters, as really, everyone should be spending more time in their own kitchens and less time debating the merits of a McDonald’s Chicken Nugget, so I am posting this now to show you what my friends and I ate. Because it was delunctious. And my friend Amy is an amazeballs cook, even if she is super slow. But the love is there, as you will see. So, as Brits, Amy, her other half and I, LOVE LOVE LOVE Bangers and Mash. That’s sausages to you non-Anglophiles. 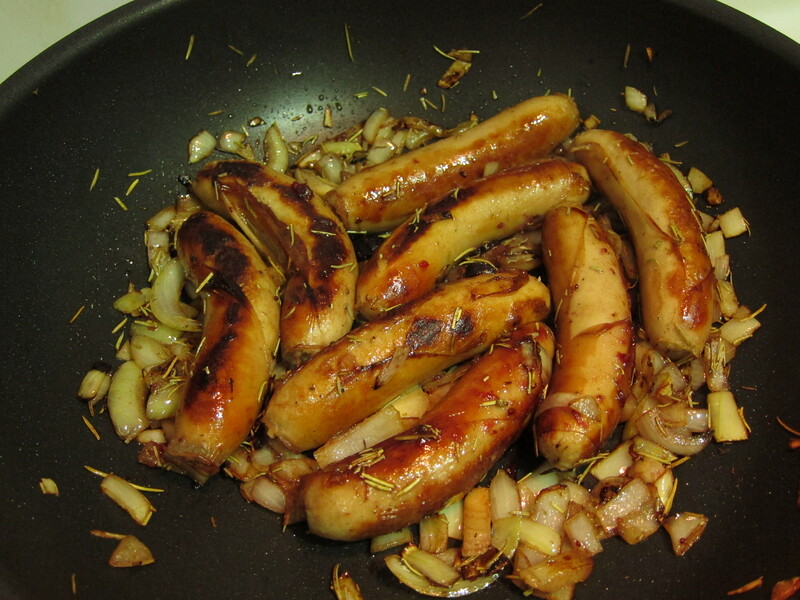 POP TRIVIA: Did you know that the word “Banger”refers to the sound sausages can make when being fried, and apparently, the term originated in WWII (though it has been in use since 1919), when the sausages made during WWII under rationing, were made with water and were more likely to explode under high heat if not cooked carefully. 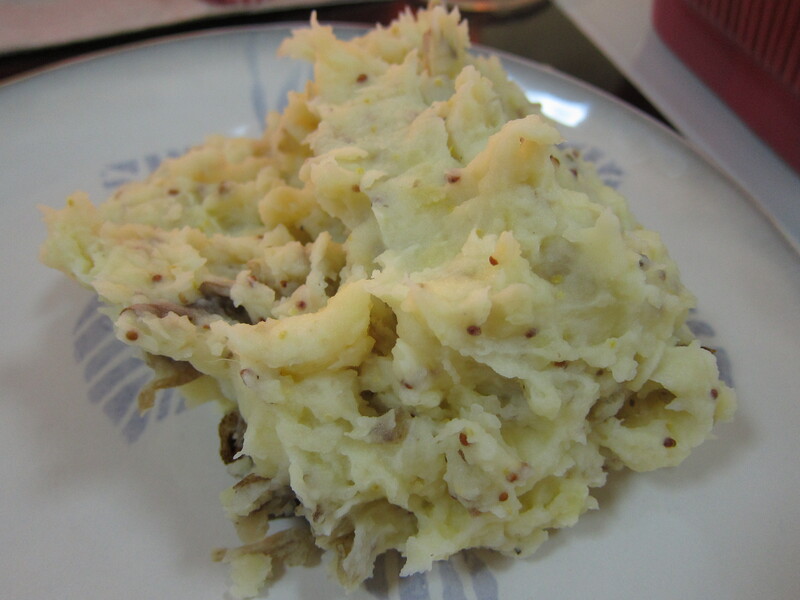 This most beloved comfort dish is always more enjoyable when made at home, as people are fussy about their mash potatoes, though I am rather partial to the Bangers and Mash at The Globe (Garley Building, 45-53A Graham St, Central. Tel: 2543 1941). 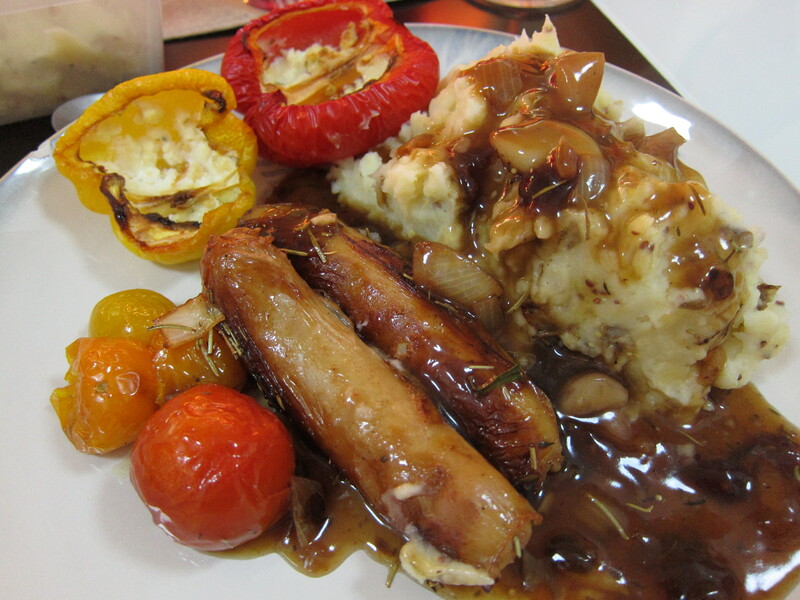 So on the night of Friday May 17th, armed with experimental pork sausages bought at the cold-meat butchers on Leighton Road in Causeway (opposite Jack Wills), Amy set about preparing an epic meal of garlic mustard mash, a medley of roasted vegetables and two sausages per person. I am a mash potato and gravy addict so I made sure that I peeled enough potatoes to feed a small army and Amy made a vat of gravy. 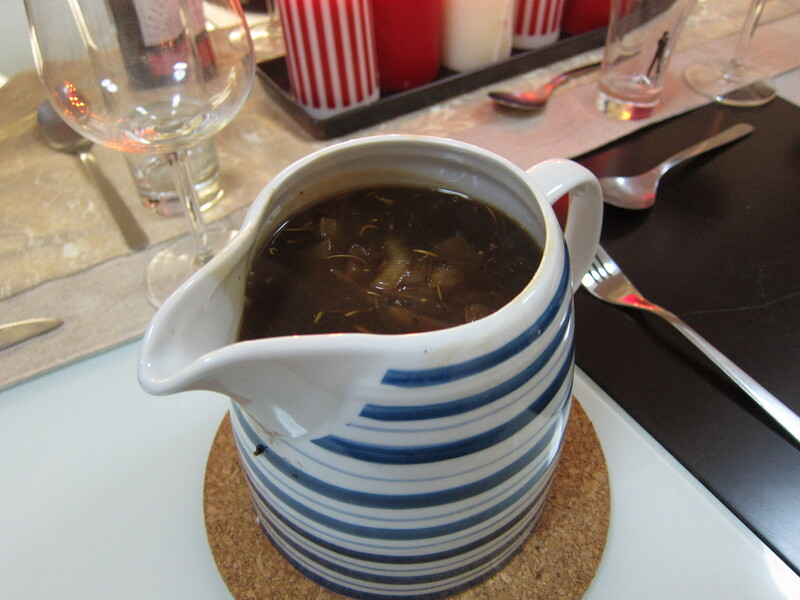 I am not exaggerating, it was practically a gallon of gravy that we finished. Now, traditionally, Bangers and Mash are served without any greenery, but, being the healthy beings we are, we like to colour the plate. 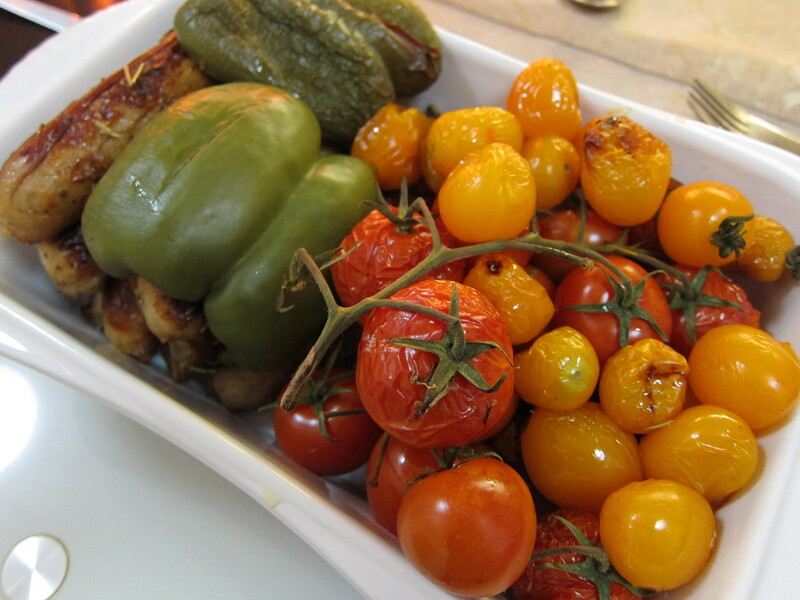 So a roasting frenzy ensued and a lovely selection of tomatoes and bell peppers completed our meal. One stubborn pepper half refused to be roasted unfortunately! A few seconds of arranging my food on my plate and voila! 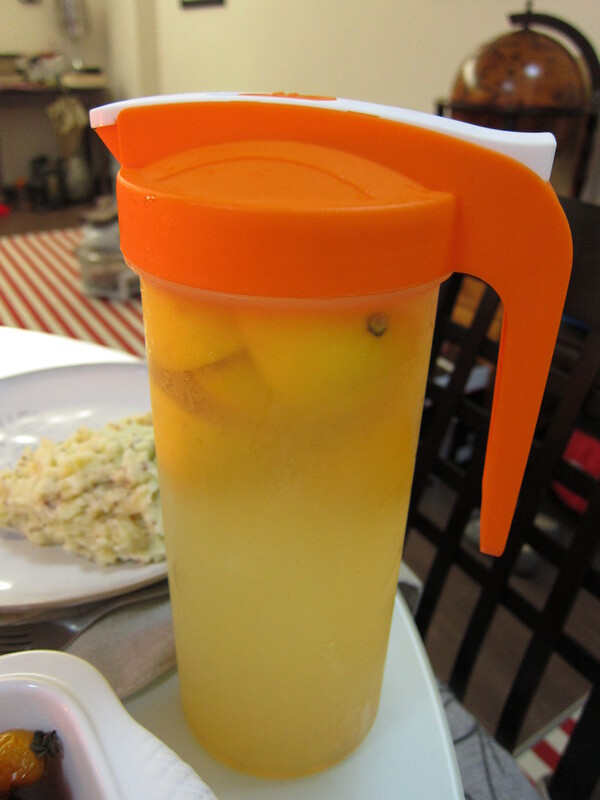 And if that wasn’t enough, Amy also made us some fresh lemonade. Delunctious. If you haven’t had Bangers and Mash before, then you are a deprived person. Immediately acquaint yourself with some sausages and work your biceps to mash up some spuds. If you’re lazy, then just go to The Globe instead! Categories: Cooking | Tags: Bangers and Mash, bell peppers, Food Revolution, Food Revolution Day, fresh lemonade, home cooking, home-cooked meal, lemonade, mash potatoes, potatoes, roasted vegetables, sausages, tomatoes | Permalink. Since Jamie Oliver started raising public awareness of the poor standards of school canteen food and the lack of healthy alternatives back in 2005 (can’t believe Jamie’s School Dinners was that long ago! ), he has been on a veritable mission to shift people’s perceptions of healthy foods and to wage a war against the bulge. Improving one’s diet and eating habits can be a struggle at the best of times, so I really applaud Jamie for tackling such a difficult issue head-on. Jamie’s TV series, Jamie’s Food Revolution (2010) was launched to improve school food and to teach people how to cook from scratch. This idea continued when he set up the Jamie Oliver Food Foundation to inspire and encourage people across America at that time, to discover good and healthy food. With everyone leading fairly hectic lives and fast-food being such a convenient way of lining one’s stomach quickly, coming round to the idea that one can whip up a decent, nutritious meal in under 30 minutes can be difficult. Since the World Health Organisation (WHO) officially recognised obesity as a global epidemic in 1997, it has been little wonder that the challenges of over-feeding have been met with panic. But, with movements like the Food Revolution, slowly but surely, with baby-steps, households are going down the path of cooking fresh, healthy food and even corporations such as McDonald’s are attempting to offer food that does not instantly clog one’s arteries. The Green Monday Organisation in HK is one such example of an enterprise that is campaigning for healthier lifestyles and meatless Mondays. The Food Revolution has since become a world-wide movement and has now landed in Hong Kong. 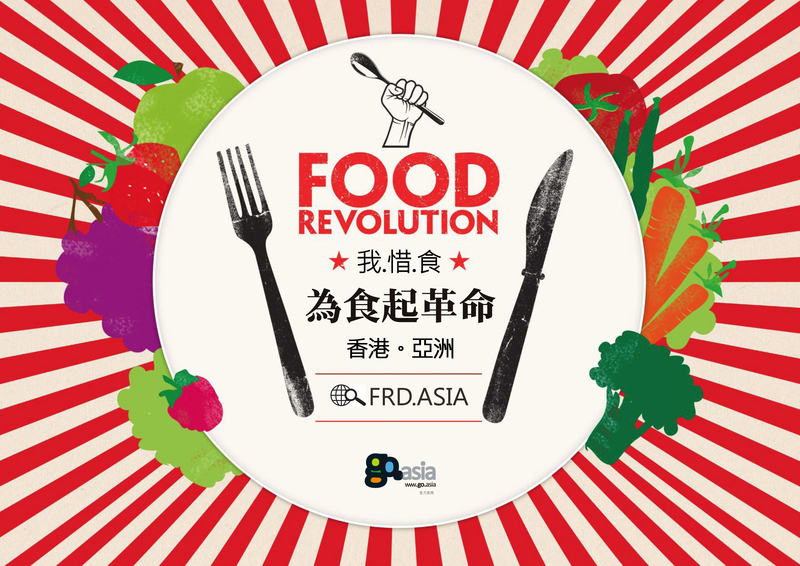 The 1st Food Revolution Day was held on 19 May 2012 and this year, Food Revolution Day will be held on Friday 17 May 2013. So what do you need to do? Not much! Food Revolution Day is a lovely excuse to get some mates together or your family and have a good ol’ cook-out. Obviously waiting specifically to cook at home on 17 May is a bit daft, but the idea is that if you haven’t done so thus far and are looking for a lifestyle and diet change, perhaps this is the time to start doing it. So embrace your rice cooker or your hob and whip up something with your bare hands, be it a simple tomato soup or scrambled eggs on toast, at least have a go. To the kitchen-phobes out there, it’ll be fun, I promise! I will be finding some friends to throw together a hotch-potch meal, and will post a few photos of our attempt. Below is a list of local activities that are happening in the next couple of weeks to promote the Food Revolution. More information can be found on the website. The Food Revolution is a global movement that allows people who love food to come together to share information, talents and resources and also to pass on their knowledge and highlight the world’s food issues. All around the globe, people work together to make a difference. The Food Revolution is about connecting with your community in schools, restaurants and local businesses. We want to inspire change in people’s food habits and to promote the mission for better food and education for everyone. Categories: Cooking, Events | Tags: cooking, Food Revolution, Food Revolution Day, healthy, healthy eating, Jamie Oliver, obesity | Permalink. Razlan of You Got Me Blogging, dropped me an email last month about Daniel’s (Daniel’s Food Diary, a Singaporean blog) #CookForFamily bloggers’ initiative, encouraging bloggers and hopefully their readers to cook a meal for their families. So what’s the point of it? The point is to show your loved ones a bit of love, to conjure up some family bonding time over a home-cooked meal, because frankly, in this day and age, and especially in HK, it’s just far too easy to just give your kitchen a miss and let someone else do the ‘hard work’ for you. The #CookForFamily initiative has mostly Singaporean participants, but Razlan, e-ting and I have decided to inject a bit of HK into the mix! Home cooking doesn’t have to be fancy, it can be as simple as scrambled eggs on toast! I’m definitely NOT a gourmet cook. My Homegrown Food recipes were about as fancy as they get, and three times as much effort as I normally put in for my home meals! I have a few tried and tested recipes, the fail safe ones, and I usually bust those out if I cook for my boyfriend and friends. Ridiculous right?! I need to learn from them. 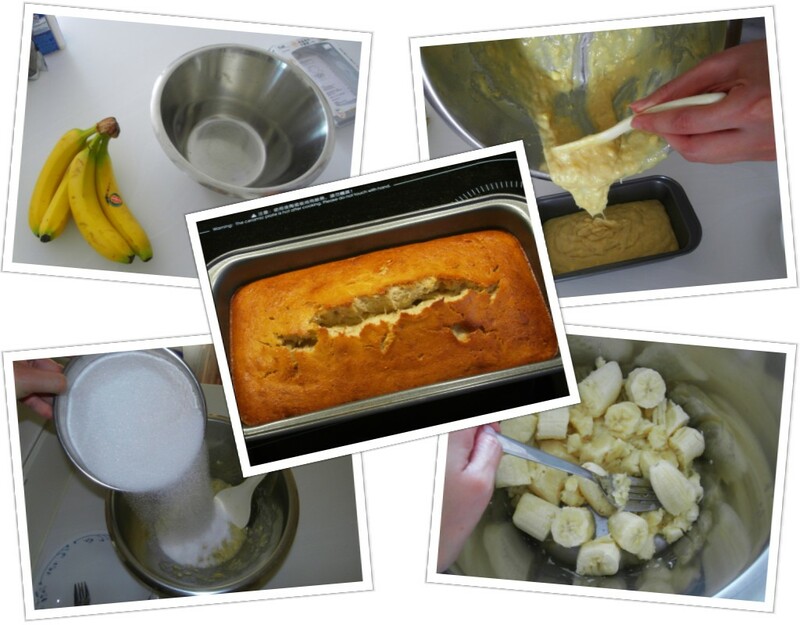 But right now, the best I can do are pastas, pies, risottos and my tried and tested banana bread. 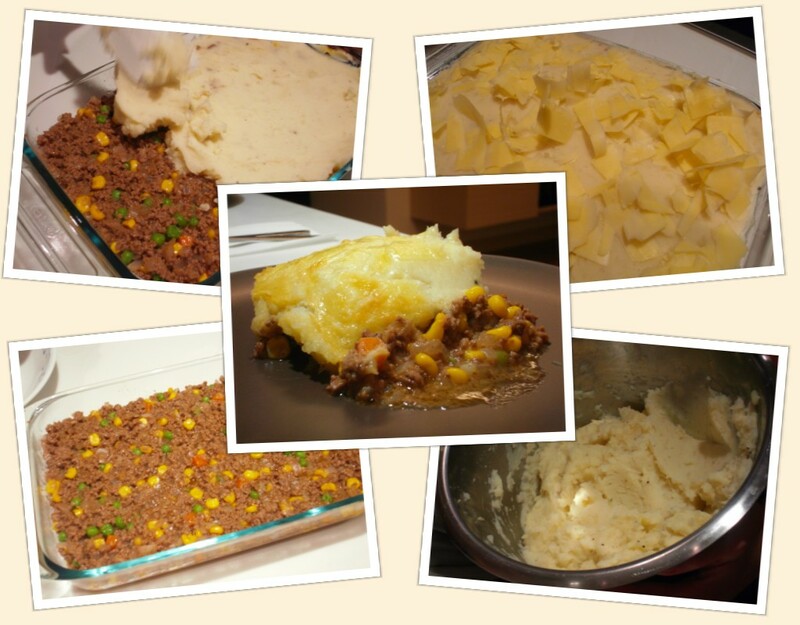 One day my girlfriends and I cooked a very cheesy Shepherd’s pie, a banana loaf and a walnut chocolate nut loaf. 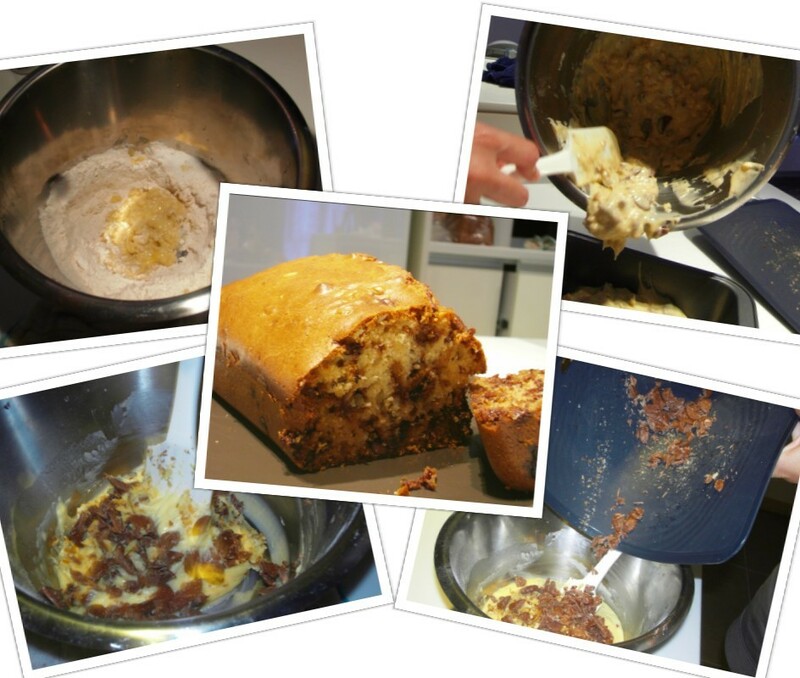 We had a loaf tin, so why make one loaf, when you can make two? 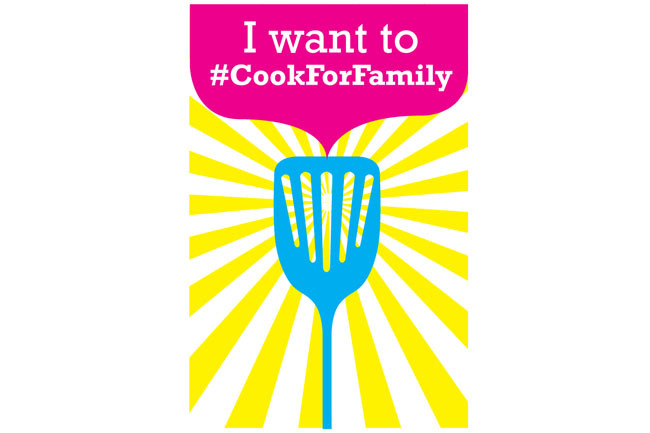 Categories: Cooking | Tags: #CookForFamily, Cook for family, Daniel's Food Diary, Singapore | Permalink. Sorry guys for my blogging hiatus, have been recovering from a horrendous cough which was exacerbated by my refusal to stop eating BBQ’d slabs of meat and all things fried. However, during my “recovery”, my friend W threw an impromptu dinner party at the J residence in the aptly named “Party Room” on the top floor and I was able to chow down on W’s scrumptious 2 course dinner. 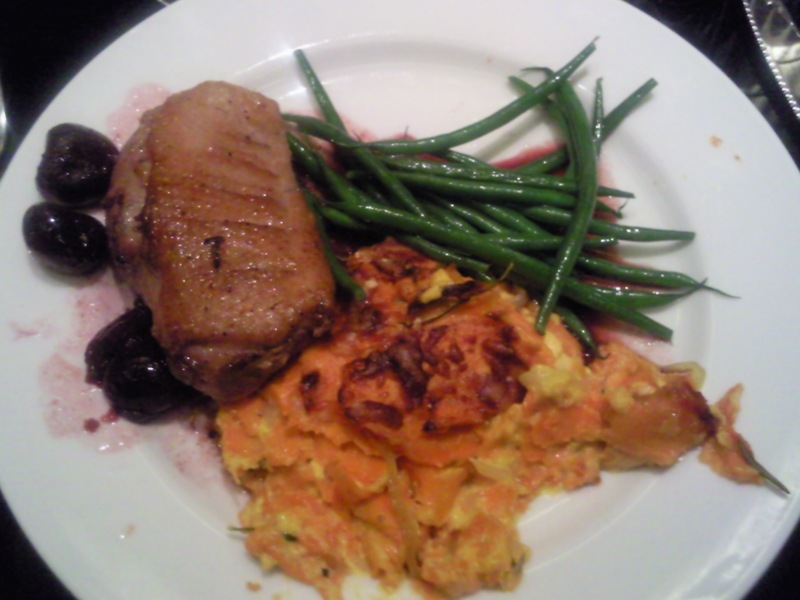 W is somewhat of a cooking master in our circle of friends and that evening she had decided to cook a delightful main course of pan-fried duck with sweet potato gratin dauphinois and green beans. Dessert was an amazing melting chocolate pudding, a recipe created by none other than the Queen of British cooking, Delia Smith. W and I are cream obsessives and the sweet potato dauphinois recipe demands quite a lot of that- yum! 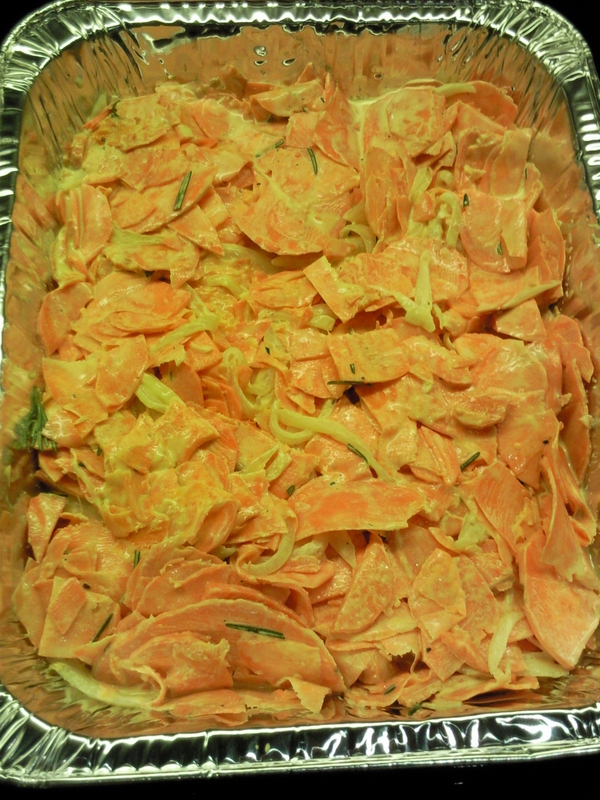 It took 5 of us to peel and slice several pounds of sweet potato during which R managed to throw in an extra ingredient- a slice of her nail, which we never recovered in the pile. Lovely. Traditional Gratin Dauphinois usually requires one to slice the potatoes very thinly, arrange layers of them in a gratin dish, seasoning with some crushed garlic and salt and pepper as you go, and then pouring a mixture of double cream and milk over the potatoes. Finally you season with a little nutmeg and add flecks of butter on top. 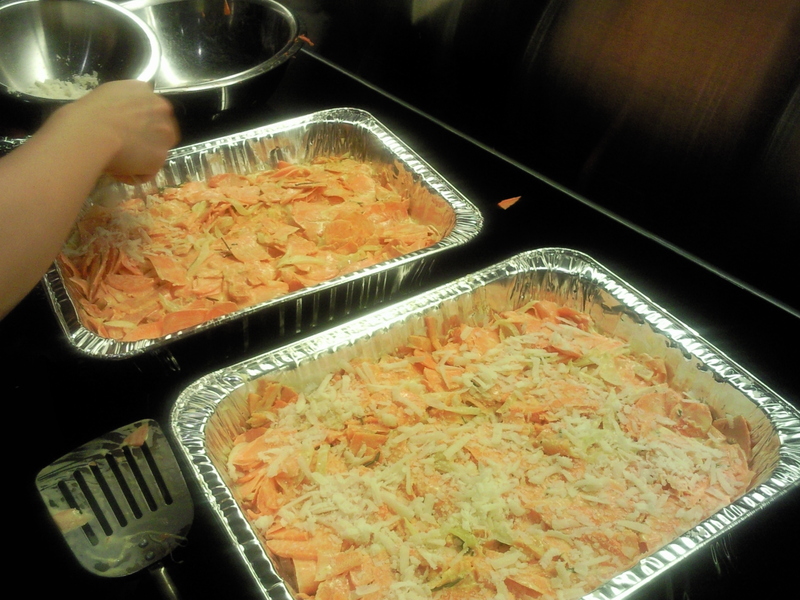 You can also add extra cheese on top for an added richness. For this sweet potato dauphinois recipe, you first need to slice the sweet potatoes and some onions thinly and add to a large pot. Then you soften them over a gentle heat and add crushed garlic, salt and pepper and the double cream and milk mixture. Once you are satisfied that the potatoes and onions are soft enough, add a few sprigs of rosemary and then transfer the mixture to a large gratin dish. Finally top with a layer of parmesan cheese and pop it into the oven at 150°C for 45mins- 1 hour. W pan-fried the duck breasts and stuck them into the oven for a few minutes while she prepared the cherry sauce and the green beans. The resulting main course was a rich palette flavours- the sweet yet tart flavour of the cherries against the red meat of the duck and the cheesy creamy texture of the sweet potatoes- absolutely delicious!! 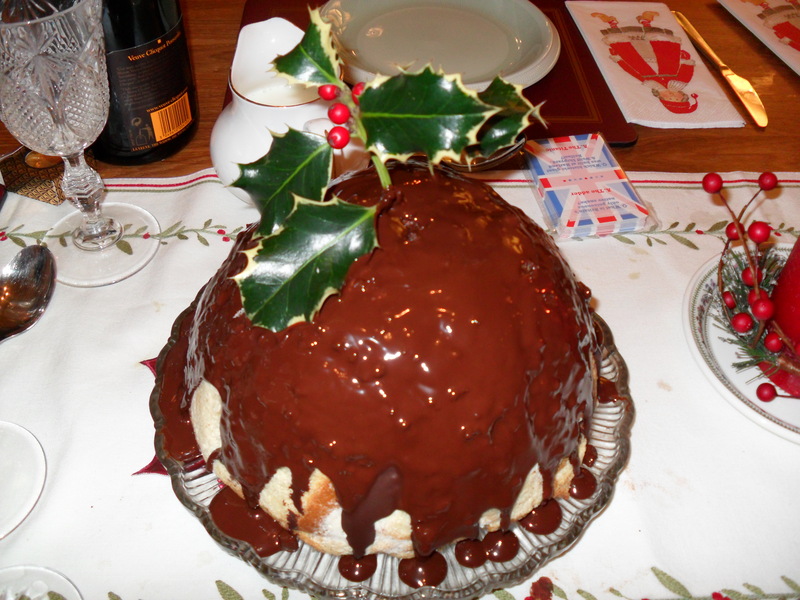 My favourite part of the evening had to be the preparation and consequent eating of the melting chocolate pud. 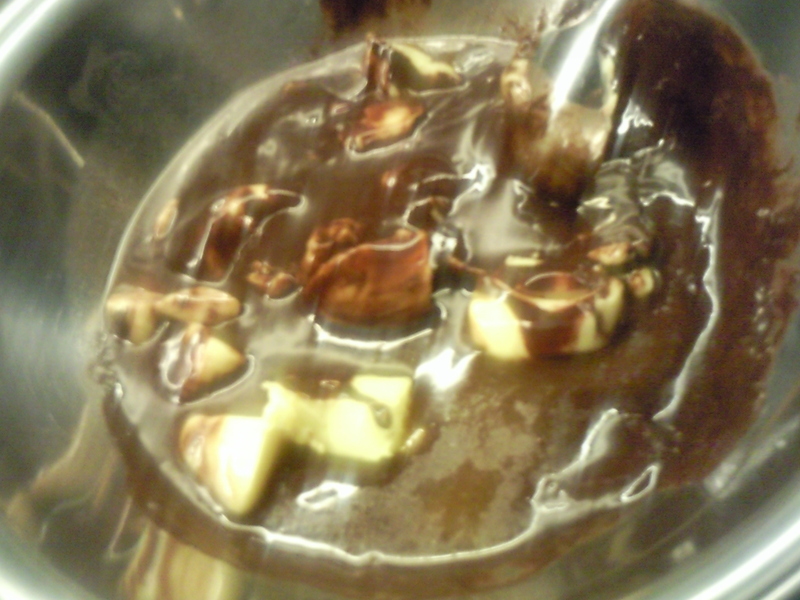 Aahhh, there’s nothing like the smell of butter and chocolate melting together. 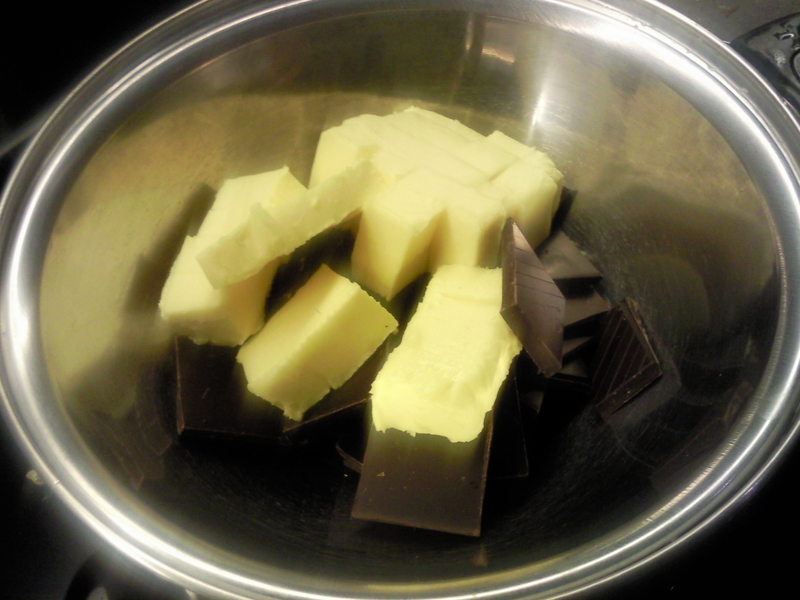 1) Place the broken-up chocolate pieces and the butter in a large heatproof bowl over a saucepan of simmering water, making sure the bowl doesn’t touch the water. 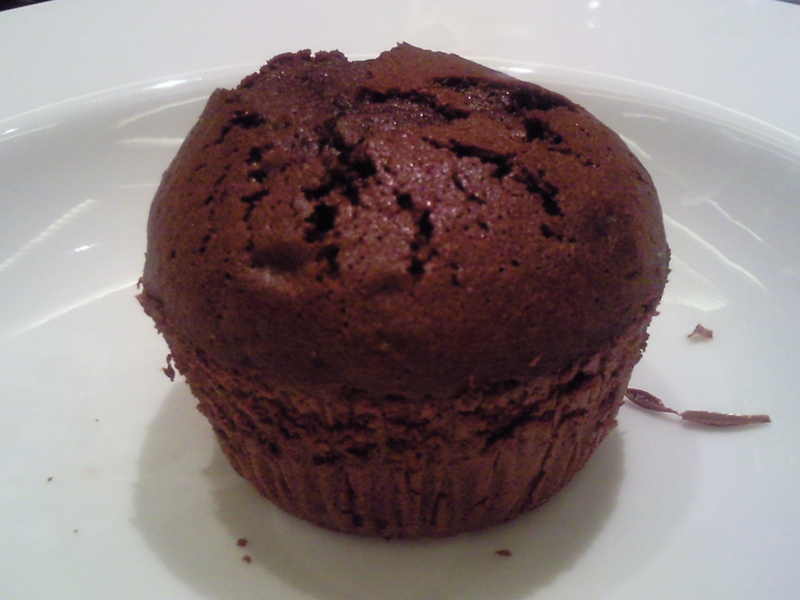 2) Keeping the heat at its lowest, allow the chocolate and butter to melt slowly; it should take 6-7 minutes. Then remove it from the heat and give it a good stir until smooth and glossy. 3) While the chocolate is melting, place the sugar, whole eggs, yolks and vanilla extract in a large mixing bowl, then whisk on a high speed until the mixture has doubled in volume. You should end up with a thick, mousse-like mixture. 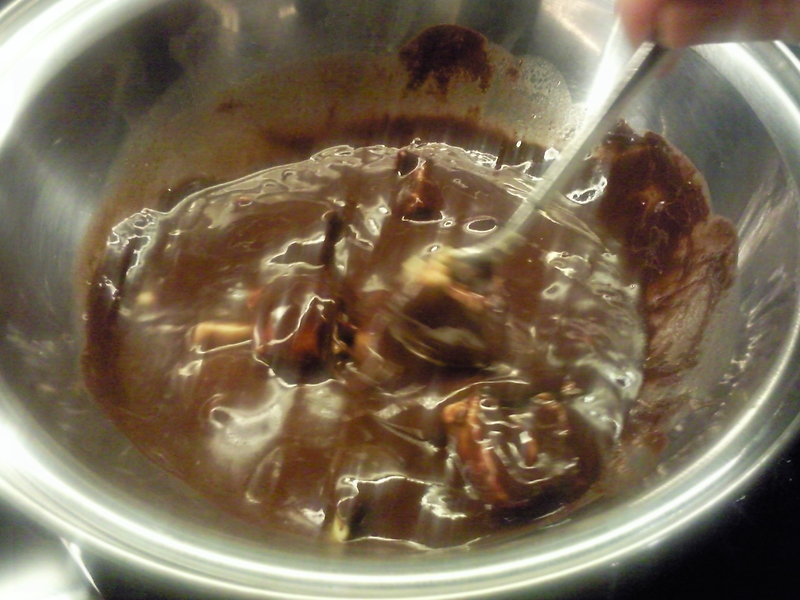 4) Now pour the melted chocolate mixture around the edge of the bowl and then sift the flour over the mixture. 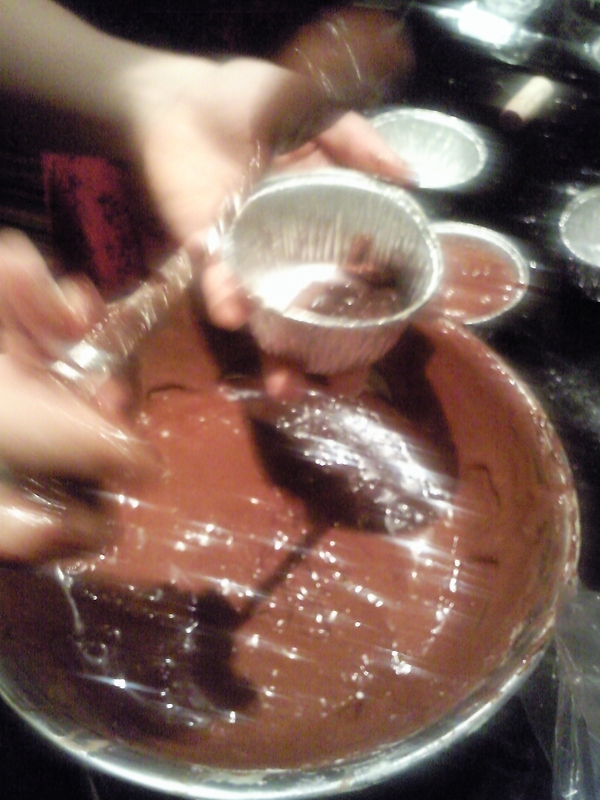 Using a large metal spoon, carefully but thoroughly fold everything together. 5) Divide the mixture between the pudding basins (it should come to just below the top of each one) and line them up on a baking tray. If you like, the puddings can now be covered with cling-film and kept in the fridge or freezer until you need them. When you’re ready to bake the puddings, pre-heat the oven 200°C. 6) Remove the cling-film and bake on the centre shelf of the oven for 14 minutes if they have been chilled first. If not, bake for 12 minutes only. 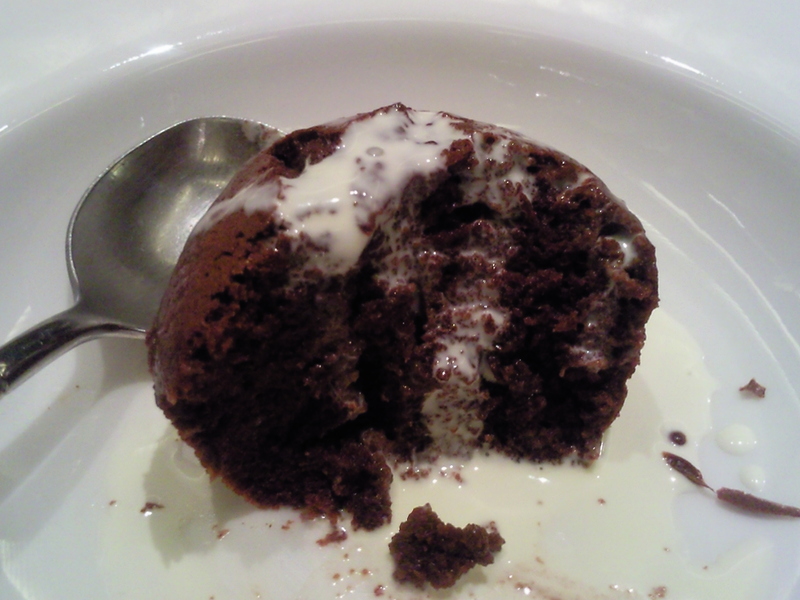 The puddings should have risen and feel fairly firm to the touch, although the insides should still be melting. 7) Leave to stand for 1 minute before sliding a palette knife around each pudding and turning out on to individual serving plates. If you’re cooking these puddings from frozen, give them about 15 minutes’ cooking time and allow them to stand for 2 minutes before turning out. 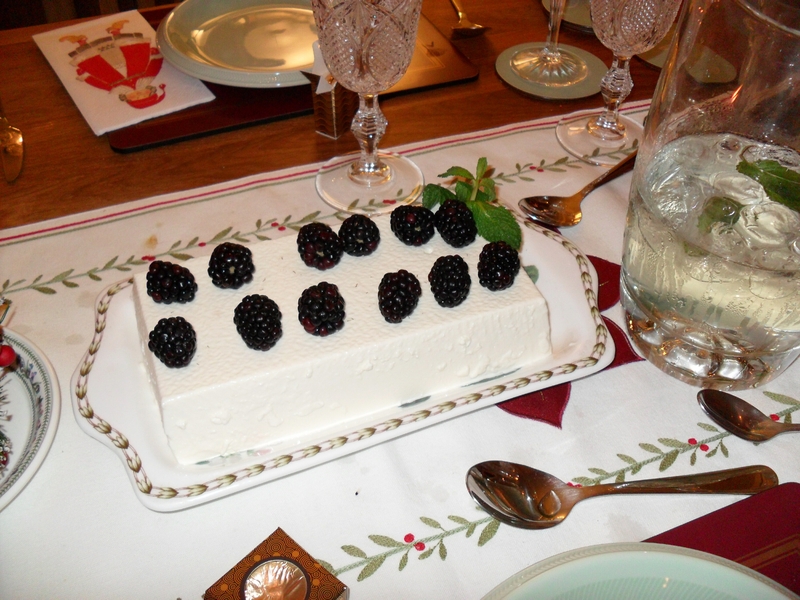 8) Serve immediately with some chilled cream. As the puddings cool, the melted chocolate inside will continue to set, so they can be served cold instead as a fudge-centred chocolate cake with whipped cream. 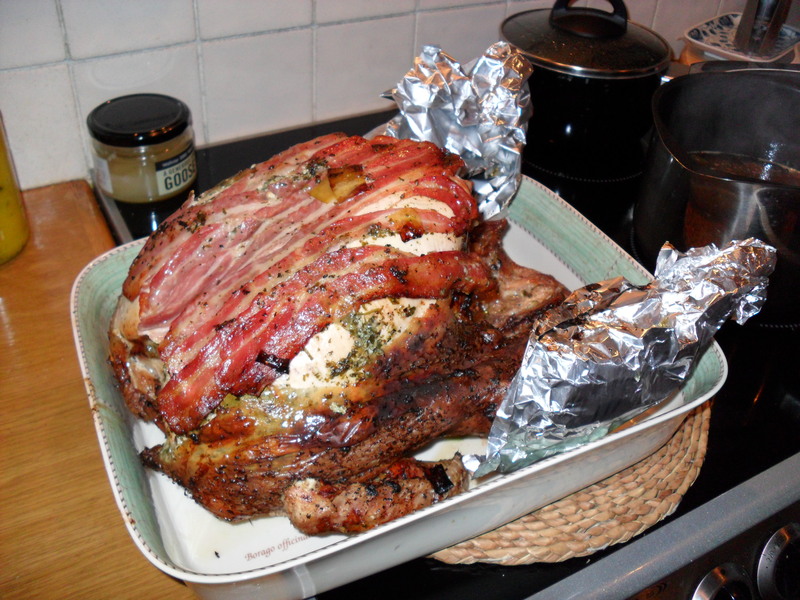 Categories: Cooking | Tags: Baking, Delia Smith, Dinner parties, Gratin dauphinois, Melting Chocolate pudding | Permalink.